In this tutorial, you'll see how easy it is to create custom decorative papers for use in your card making. 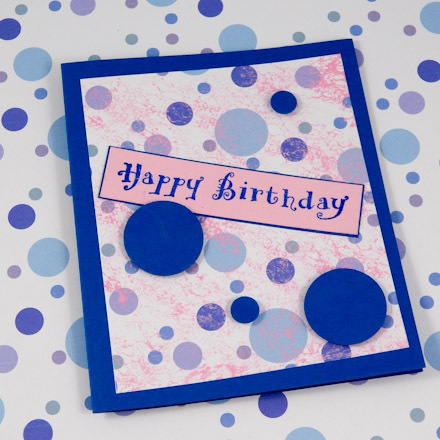 Use colorful sponged papers in your card making as background papers, embellishments or key design elements. 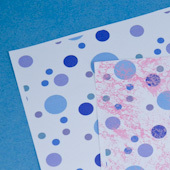 The beauty of sponging is the limitless range of color possibilities—make whatever color paper you desire! 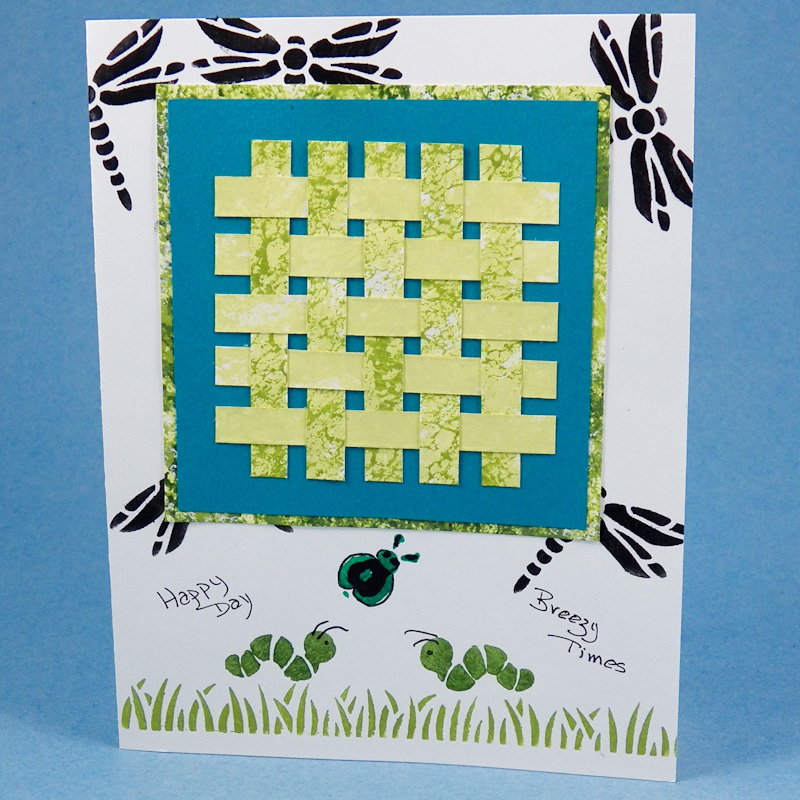 This greeting card tutorial builds on previous tutorials in the original Greeting Card Class set of tutorials, especially #1: Four Patch Cards and #6: Paper Weaving Cards. If you are new to card making, review these tutorials before starting this one. Select a sponge based on your desired result. Sponges have various textures ranging from very fine, even holes, like a cosmetic sponge, to large random holes in varying sizes, like a natural sponge. As you would expect, a cosmetic sponge produces a design that is smoother and more filled in, while a kitchen sponge or natural sponge gives a somewhat lacy feel. If you are using a kitchen sponge, cut it into several pieces. It's easy to cut the sponge when it is damp. Dampen the sponges and wring them out thoroughly. Pour a small amount of paint onto a plastic lid or plate. Dab the sponge up and down in the small puddle of paint. 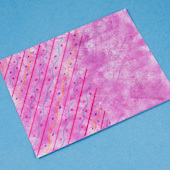 Test the paint on a piece of scrap paper by dabbing up and down a few times. The paint should be almost transparent on the first dab and grow darker as you dab more. If the paint doesn’t dry almost immediately, either the sponge is too wet or you are using too much paint. 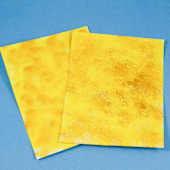 It is best to sponge cardstock or heavier papers like watercolor paper. Thinner papers have a tendency to curl from the moisture. 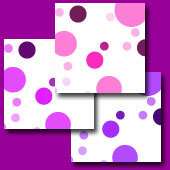 A good paper type and size for card making is white or colored cardstock cut into quarters. Apply one or more colors of paint in layers. Sponge densely or sparsely, using coarse or fine sponges. Experiment to get the effect you desire. Allow each coat to dry before applying another color. 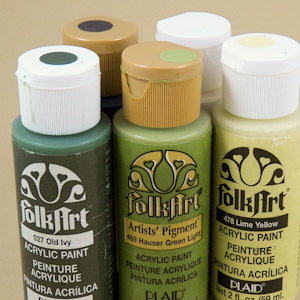 Work the paint colors from light to dark or dark to light. It is especially effective to finish off with a sparse, top layer of white or black. 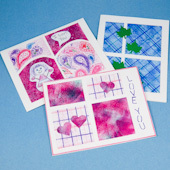 The sample cards are made with sponged papers that range in color from light to dark. 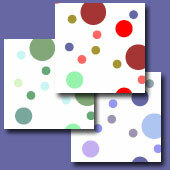 It is easy to make a set of coordinating sponged papers by selecting paints in three or more shades of the same color. 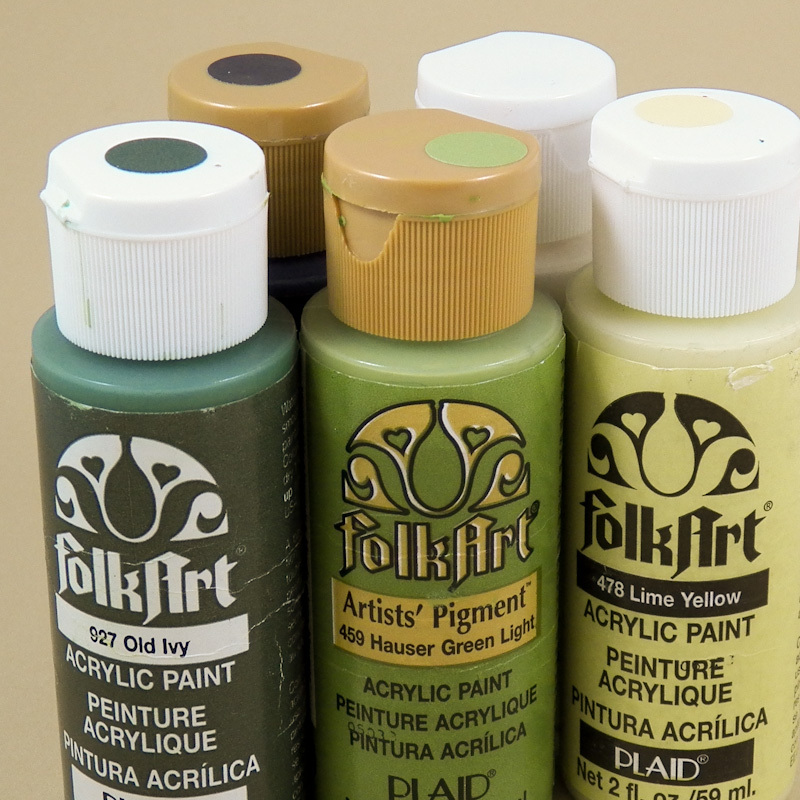 In the sample cards, three shades of green are used along with white and black paint. Starting with the lightest shade of green, use a cosmetic sponge to sponge a base coat on four quarter-sheet pieces of white cardstock. 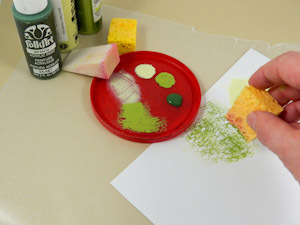 After the base coat is dry, use a small piece of a kitchen sponge to create a medium-density layer of the next shade of green on three of the cardstock pieces. Next, apply a sparser layer of the darkest green to two of the pieces. Finally, apply a very sparse layer of white and/or black to one piece. 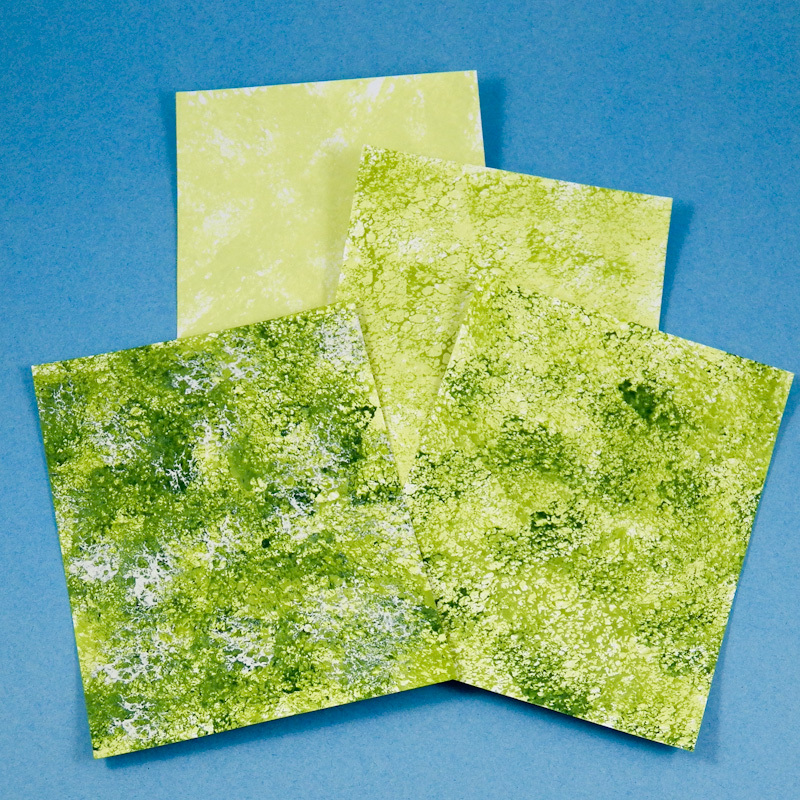 The result is a set of four green sponged papers that range in color from light to dark. Set aside the sponged papers to dry. If the dried papers curl, press them under a heavy book overnight. 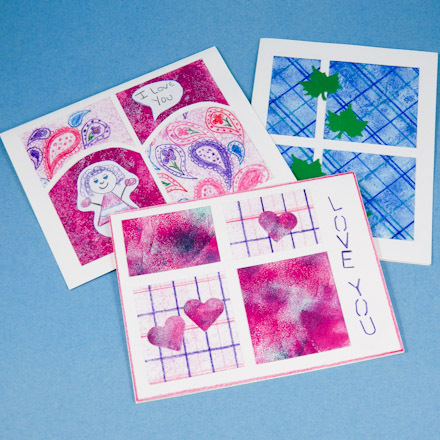 The four quarter-sheets of sponged cardstock will make up to four cards. 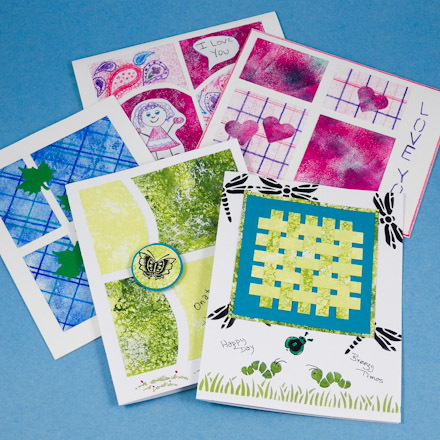 Use these springtime card ideas as inspiration for your own creations. 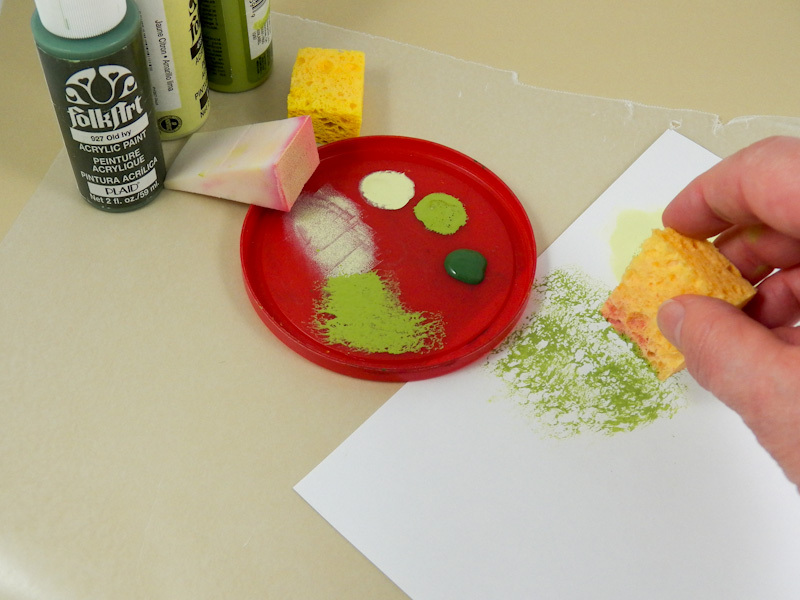 Prep work: Cut two rectangles measuring 3½" by 2¼"—one from each piece of green sponged paper. Punch a 1" circle from the lighter color of green sponged paper. Glue the punched circle in the center of the green or teal cardstock square and trim the cardstock to make a narrow border around the punched circle. To make the card: Follow the instructions in the Four Patch Cards tutorial, steps 3 thru 5, to cut and arrange the four patches and the butterfly medallion. 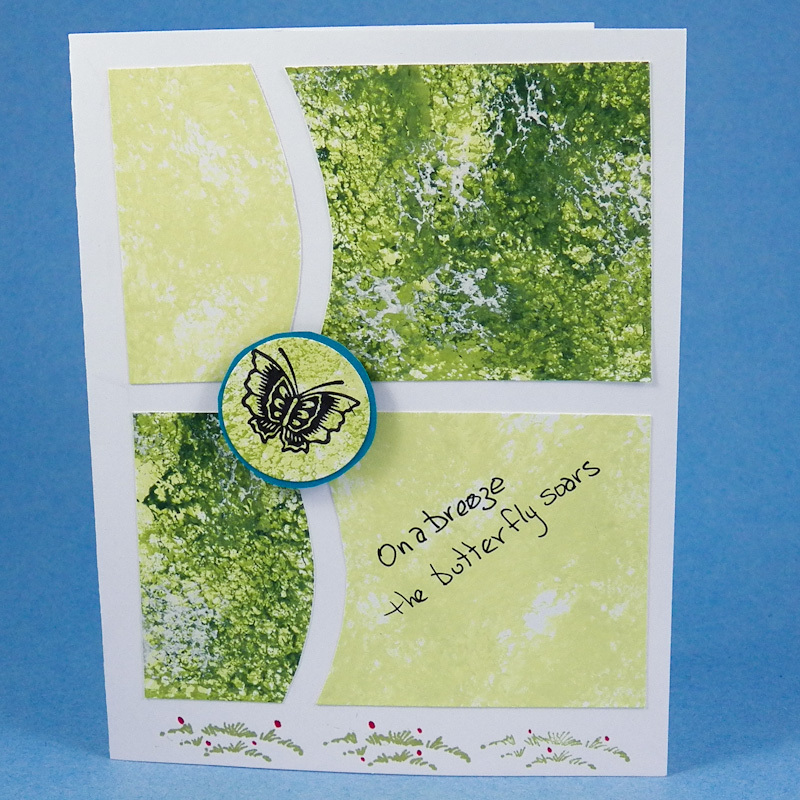 After these card elements are glued in place, use the black marker to write the message, "On a breeze the butterfly soars." If you like, use green and red markers to draw blades of grass and tiny flowers at the bottom of the card. Prep work: Cut a 3¼" to 3½" square from the darkest shade of green sponged paper. Cut 3" squares from the other two shades of green sponged paper and the green or teal cardstock. Stamp the upper two-thirds of the white card blank with flying insects. To make the card: Follow the instructions in the Paper Weaving Cards tutorial, steps 2 thru 5, to weave a square and glue it to the green or teal cardstock. Glue the matted weaving to the square of dark green sponged paper and glue the complete square to the card front as illustrated. Finish the bottom third of the card with a stenciled or painted border of grass. Add stenciled caterpillars or ladybugs, and write "Happy Day" and "Breezy Times" with the black marker. That's it! Your sponged card is done! 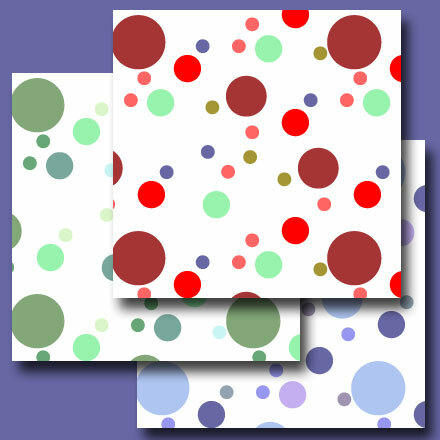 Tip: Download and print the Mixed Dots Digital Papers and More Mixed Dots ePapers to use in your card making! 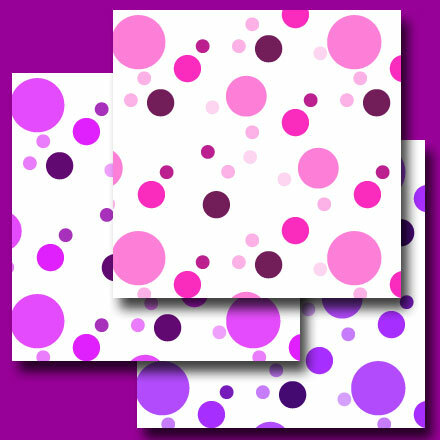 Tip: Lightly sponge over decorative papers, like Aunt Annie's Mixed Dots Digital Papers, to get a distressed look, or to slightly change the color scheme of the paper. Tip: Use different sponges for various effects. The left paper was made with a cosmetic sponge, and the one on the right was made with a kitchen sponge. 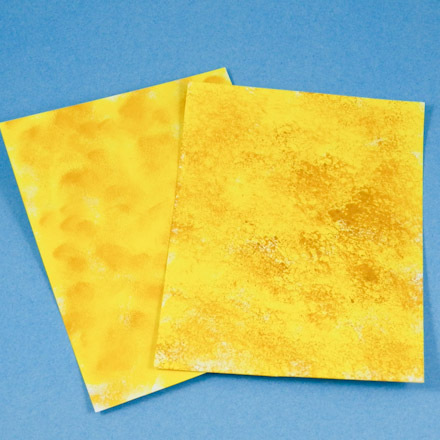 Tip: Vary paint colors and sponge textures to make a wide variety of sponged papers. 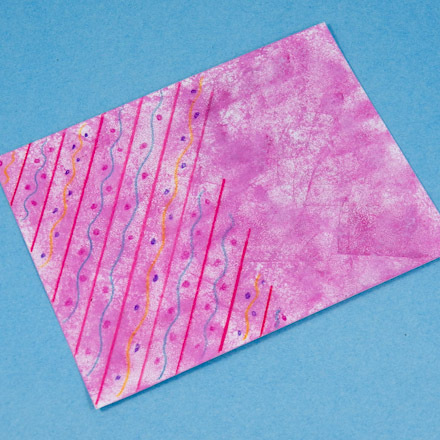 Tip: Use colored pencils to decorate sponged papers. Tip: You can also use the sponged paper to make Silhouette Cards for St. Patrick's Day. Select from the four styles of shamrocks in this printable pattern.